Obituary for Pamela Ann Silvis | McEntire-Weaver Funeral Home Inc.
Pamela A. Silvis, 65, of Knox passed away Friday, November 16, 2018 at the Clarion Hospital following a brief illness. Born October 12, 1953, in Clarion, Pam was the daughter of George and Alma Groves. On December 14, 1974 Pam married John Silvis who survives. Pam attended the Keystone High School then went to work at the Owens Illinois Glass Plant in Clarion for 37 years before her retirement. She was a member of the Kennel Club of Clarion County and the Arabian Horse Assoc. Pam enjoyed her horses and dogs, taking pictures, spending time outdoors and spending time with her family. Her dog Abby was her pride and joy, she had her certified as a therapy dog and showed her in many dog shows. After retiring Pam spent most of her day taking rides in the woods so she could take pictures of wildlife. She took beautiful pictures. 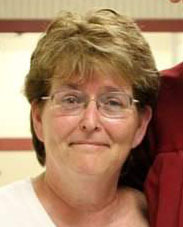 Along with her husband Pam is survived by her two children Dan Silvis of Knox and Kathy Silvis of Cranberry; three grandchildren Zachery Rupert of Oil City, Brittani Burris of Cranberry and Gabrielle Burris of Cranberry; a brother Darild Groves of North Carolina and Joice Mineweaser of Brookville. Pam was preceded in death by her father, biological mother Ginny Love and her adopted mother Alma Hall. Per Pam’s wishes there will be no viewing or services. Arrangements are being handled by the McEntire-Weaver Funeral Home, Inc., 504 E. Penn St., Knox. To view and share photos or leave an online condolence please visit our web site at www.mcentire-weaverfuneralhome.com.